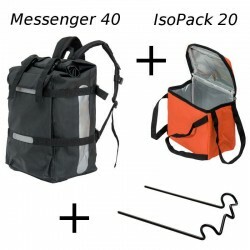 Le tout-en-un avec une capacité monstre Dernier dans la famille des Messenger hPA, le sac MESSENGER 80 Isotherme affiche des caractéristiques hors normes: 80 Litres Doublage total isotherme Etanchéité parfaite Qualité de fabrication hPa en bâche PVC ultra robuste Ce sac devient la nouvelle référence pour tous les livreurs de repas chauds ou froids. 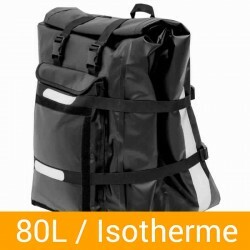 Tired of wearing your insulated bag on your back? 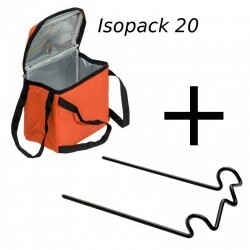 The stem mount allows you to install ISOPACK 20 or ISOPACK 40 insulated bags at the front of your bike. The mounting fits and retires in less than 10 seconds. 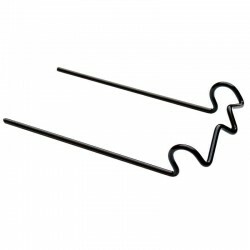 No fixed installation on the hanger or the stem. 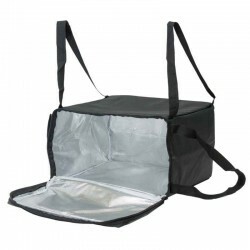 Keeps the bag flat in all circumstances. 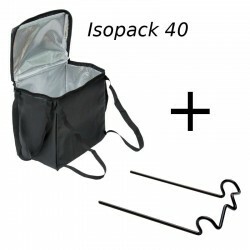 Compatible only with hPa ISOPACK insulated bags. 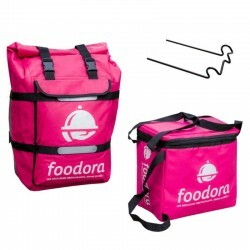 Are you looking for the ideal insulated bag for food delivery by bike or scooter? 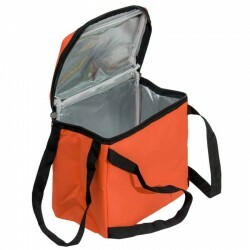 hPa has developed a range of insulated delivery bags specifically for couriers. 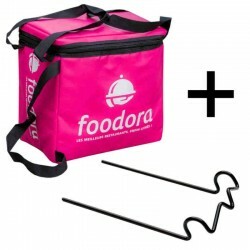 The hPa bags will be perfectly adapted for couriers who work with platforms such as Deliveroo, Foodora, UberEats, Alloresto ... 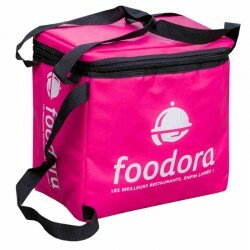 They will allow you to deliver at home pizzas, hamburgers, or any other hot or cold dishes. 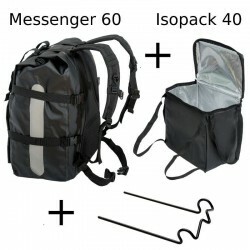 To adapt to delivery by bike or scooter, hPa bags can be integrated into a backpack or attached to the bike using a specifically designed mount.